People are drawn to, and influenced by, leaders who communicate authentically, connect with people, and have immediate impact. So how do you become one? How can you learn to "own the room?" This book will help you develop your leadership presence. The authors offer a simple and compelling framework as well as practices for developing your 'signature voice.' Wherever you sit in an organization, you can develop presence if you are able to do two things well: demonstrate your authentic value and distinction; and connect to others in a positive way. Leaders who are able to be authentic while connecting with and impacting others have what the authors call a signature voice-a means of self-expression that is uniquely and distinctly your own. Once you embrace and express this invaluable skill, you won't believe the tremendous impact you can have on those around you. 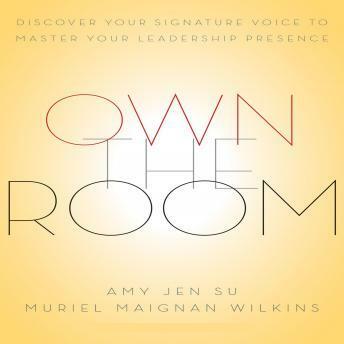 Filled with real-life stories and examples, Own the Room will demystify the notion of presence and provide practical advice on how you can develop it.